New MacBook owners who need removable storage but don't want to carry around a USB adapter now have a new native USB-C option in California-based Patriot Memory's just-announced convertible flash drive. 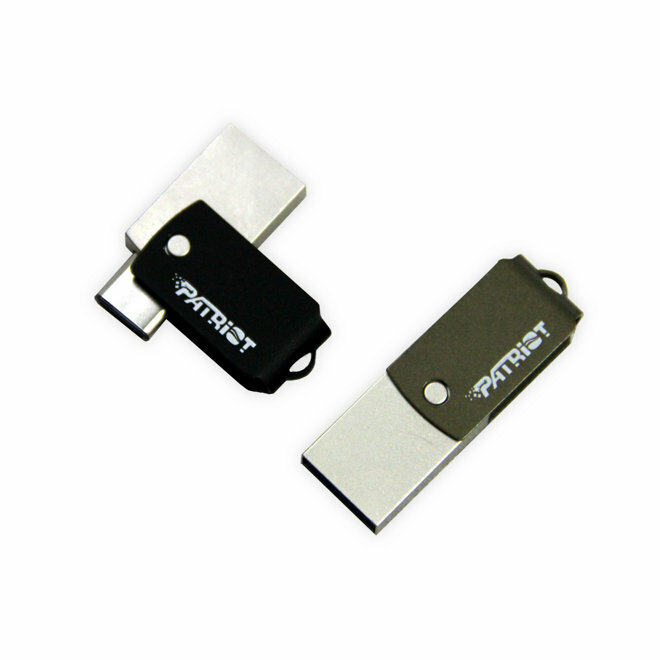 Patriot's new drive sports a reversible metal design, with a traditional USB-A plug at one end and a USB-C plug on the other. It will connect via the USB 3.0 protocol, and buyers will be able to choose from 32- or 64-gigabyte capacities. "As many MacBook users rely heavily on external storage options, we wanted to be at the forefront with a product that will cater to these consumers," Patriot executive Meng J. Choo said in a release. "As a leading manufacturer of USB and flash memory, we want to offer solutions for our customers that are easy-to-use and provide seamless experiences across all their devices." Pricing has not yet been announced, but the drives are slated to ship in June of this year. Apple's decision to offer just a single USB-C port on the all-new MacBook has polarized both consumers and technology journalists alike. During AppleInsider's own MacBook review, we found the choice to be perhaps a bit too forward-looking, though ultimately not a deal-breaker for those considering the MacBook.